This is one of those ideas that comes to mind when sailing out there and you start feeling hungry. Once you have consumed your two or three sarmies (South African for sandwiches), you tend to start dreaming about something more substantial. "The heat of the day when the fish won't bite," as the famous song goes. Listen to the ocean, it soothes you and helps you to dream up some more recipes! Enter the very South African tradition of a braai on board. Most small yachts I have sailed on either have a braai, a grill, an oven or combination of the above. And mostly, when an impromptu braai is on hand, out comes the boerewors. A kind of rustic thick beef and pork sausage, flavoured with salt, pepper and coriander, perhaps some other spices. 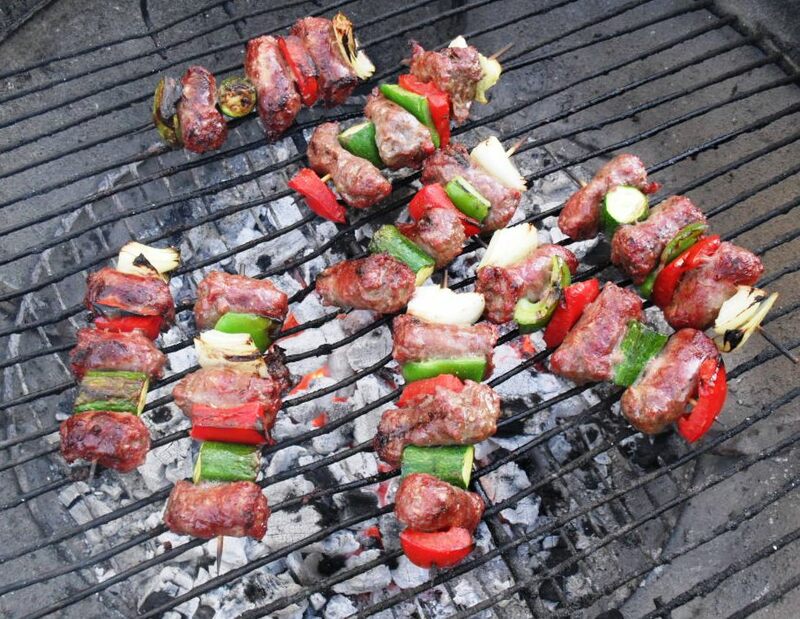 A delicious meat product which is easy to barbecue. Add to this some veggies and you have a substantial meal. However, my friend Zirkie Schroeder, blogging as Pink Polkadot Food has a card up her sleeve. She made a kebab (sosatie) using boerewors and some vegetables on hand. The result is history. Check it out here. A delicious meal in handheld form. Not messy and easy to prepare. Compiled for the GBYC newsletter.